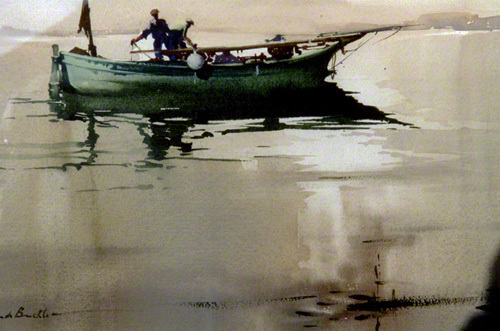 A painting of a boat, getting ready when the tide is right. Claude Buckle captures the moment in this picture painting the fisherman setting off. The boat is broadside on and reflected in the water and appears to have a sail mast not yet rigged. Courtesy Sheila Brially. Created in 1967.